Move over Obama, there’s a new commander in chief in our nation’s capitol. He’s 6’3, 214 pounds, and goes by the name of Kirk Cousins. 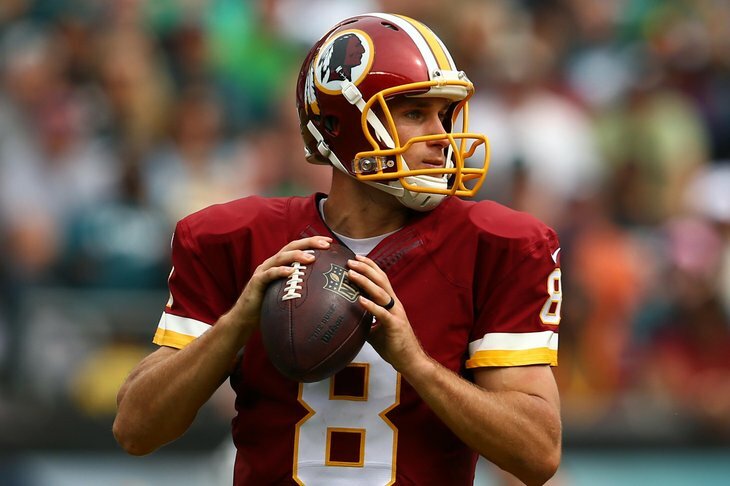 He’s the interim starting quarterback for the Washington Redskins and he’s pretty darn good. In what may be the most impressive loss ever (excuse the oxymoron) for a quarterback, Cousins threw for 427 yards and three touchdowns while suffering a defeat to the Philadelphia Eagles on Sunday. Despite a late game interception, Cousins practically carried the Redskins on his back as they nearly pulled off the victory. He continues to improve, and showed us today that he has an incredible grasp of Jay Gruden’s offense. He actually ran the offense more efficiently than Robert Griffin III did the first couple games of the season. Cousins, who is starting in place of the injured Griffin, is making us wonder if Griffin will resume his starting job upon the completion of his rehabilitation. When the Redskins chose Cousins in the 2012 draft, exactly three rounds after selecting RGIII, many speculated why the organization made such a move; especially with RGIII being the presumptive face of the franchise. Well fast forward two years later and that decision has been validated. The organization surmised that RGIII would inevitably be injured at some point throughout his career. Drafting Cousins was like receiving the best insurance policy a team could obtain. Although electrifying, RGIII has shown us that he is injury prone due to his unconventional mobile style of QB play. Lets face it, we all love to watch RGIII play. He’s galvanizing, thrilling, and capable of pulling off the “how the heck did he do that?” kind of plays. With that being said, he also makes poor decisions, creates many plays out of the pocket (which is the most dangerous place for any NFL QB), and has every fan gasping whenever he gets hit. Cousins, on the other hand, gives the Redskins consistency, efficiency, and stability at the QB position. We were initially treated to signs of Cousins’ greatness two years ago when he replaced the injured Griffin. And we got a chance to view that same greatness last week as Cousins came in for Griffin during the 1st quarter and led the Redskins to a 41-10 romp over the Jacksonville Jaguars. The scary thing is that Cousins is just getting started; while proving to everyone that he can be an effective leader and franchise quarterback. The only question is how the Redskins will respond when they have a healthy RGIII ready to go. Now whether or not this turns into a Joe Montana/Steve Young or Alex Smith/Colin Kaepernick situation has yet to be determined. But if it does, I’m sure the Redskins would consider that a wonderful problem to have.